This is the public profile of Kevin Chang / Lab Modus, Additional information and high-resolution images are available for accredited press members, to access additional information about Kevin Chang / Lab Modus please login as a press member. 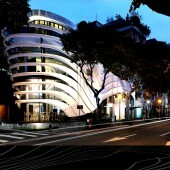 About Kevin Chang / Lab Modus : Lab Modus, is a collaborative practice based in Taipei, Taiwan and headed by Kevin Chang. 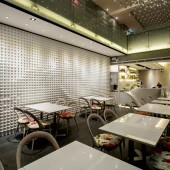 As architect and educator Chang is committed to the practice of architecture and Interior Design as applied research. Lab Modus, with extensive experience in the fields of infrastructure, public, private and utility buildings on different scale levels. At the basis of Lab Modus are a number of long-term goals, which are intended to define and guide the quality of our performance in the design field. We strive to make a significant contribution to the discipline of design, to continue to develop our qualities with respect to design, technology, knowledge and management and to be a specialist in public network projects. We see as mutually sustaining the environment, market demands and client wishes that enable our work, and we aim for results in which our goals and our client’s goals overlap. 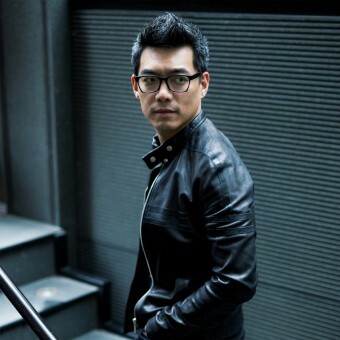 Press Members: Request an exclusive interview with Kevin Chang / Lab Modus.